See you later, 2014 … – wife. mother. 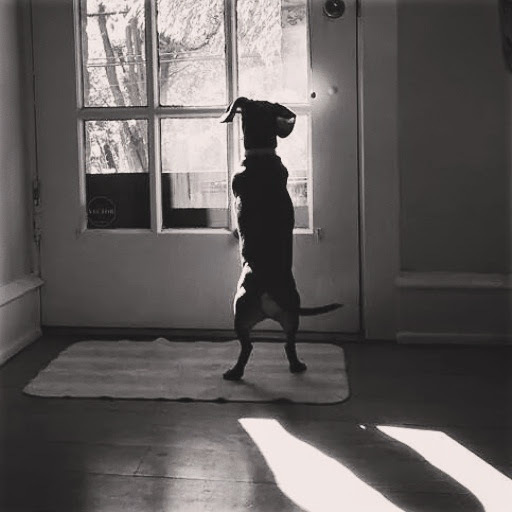 awesome girl. I realize I haven’t kept up on the blog as much as I’d like but since September I haven’t been out much. And since this is my bikey blog, it’s only natural to talk about All Things Bikey. I’m living in Philly, working in NYC, and getting out as I can. The last six months have been stressful for our little family, with trying to sell the house and relocate to be closer to work. Indeed life could be worse than having a job that I continue to love, learn and grow; a family that is holding down the house selling process and understanding that sometimes things don’t go according to plan; and a husband who gives me the option and sometimes pushes me out of the house to go ride my bike for an hour because he knows it will keep me sane. The New Year started with an exploratory bike ride with my friend Ken to check out some trails he found on Google Maps. Of course we took our carbon fiber road bikes to ride rutted, frozen mud and gravel trails – that’s just what we do. Unfortunately the ride ended when I started having visual disturbances associated with an impending migraine – so we hightailed it home. Nothing like bombing down a hill with no peripheral vision and the inability to see clearly. ha! 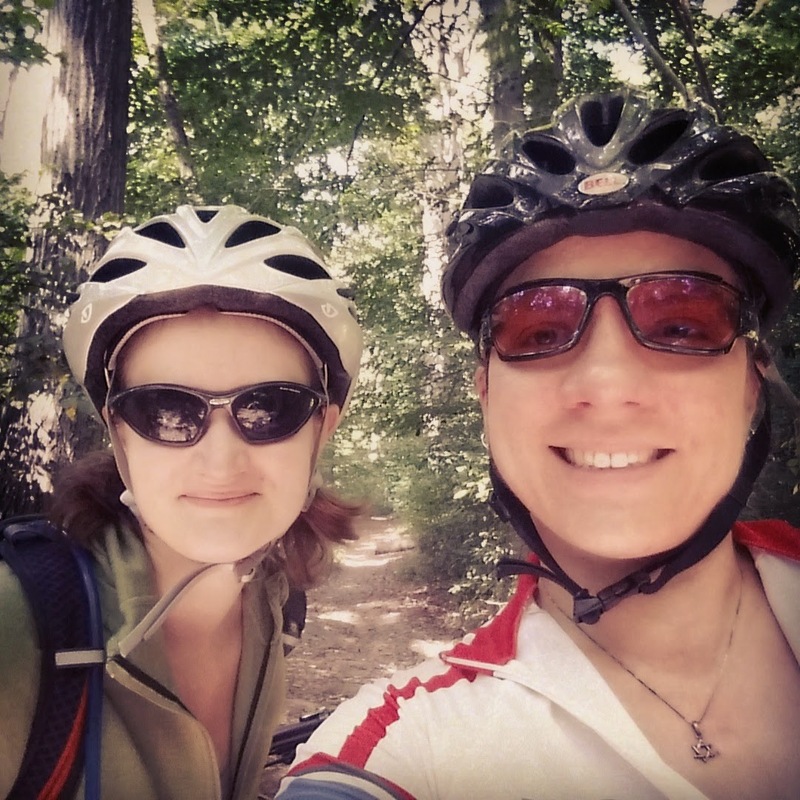 Later in the month, we would make a farewell bike ride with our friend Heather, who had finished the schooling part of her ophthalmology studies and was moving for the first phase of her residency. Heather had been my main source of All Things Mountain Biking and a wonderful road cycling friend as well. Thankful for the wonders of the internet to keep us in touch. February brought a craving for the freshest, most authentic street tacos I’ve experienced. Ken and I rode to the Belle Vista section of the city to find the El Tacos Rodeo truck to no avail. 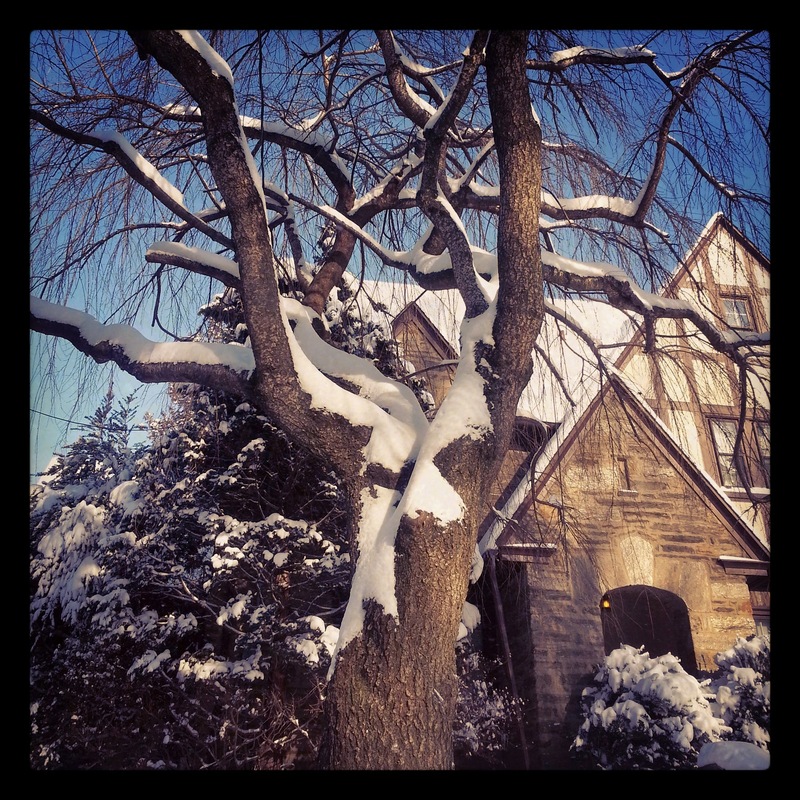 The winter was in full swing with lots of snow and ice and very little opportunity to get outside to ride – so I focused on training for a 5-mile run in April. Lots of time on the treadmill getting my running legs back. There was one particular run where it was finally warm enough to run outside – the snow was melting and the smell of fallen pine branches from the heavy snow permeated the air. It felt so fresh and inviting. March brought the advent of bike commuting again and feeling brave and stupid while riding on Market Street, one of the main streets through downtown Philadelphia. It’s 4 or 5 lanes of people who don’t really give a crap – but somehow I’ve always been able to ride safe on Market. 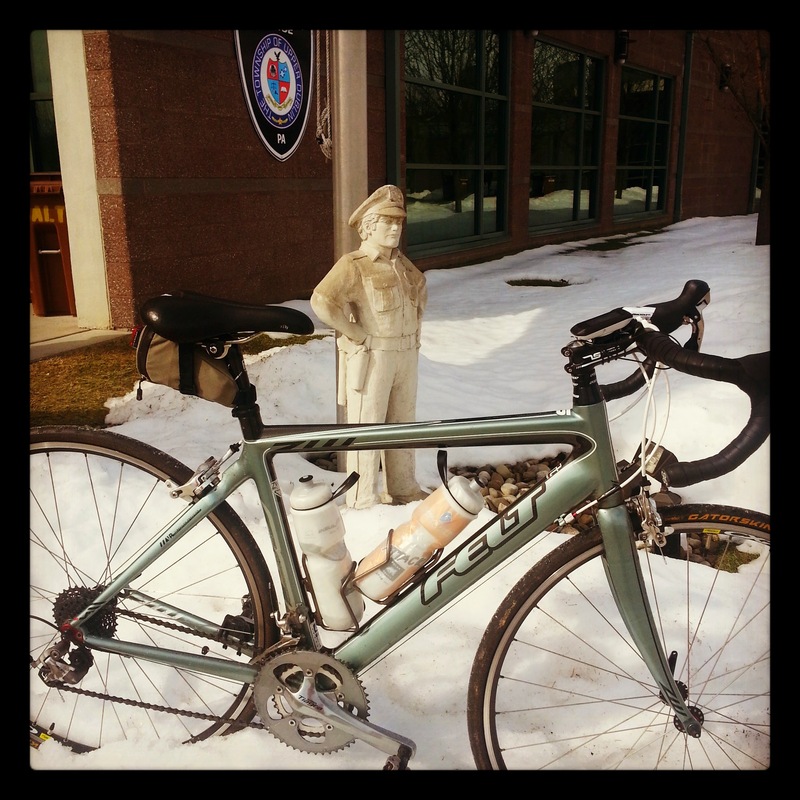 March also brought the first training ride for the four-day bike tour I would do in June. April means 30 Days of Biking, an online friendly challenge to ride your bike every day in April. I ended up biking to the train station more than biking all the way into the City. I also took my then-14yr old son on his first mountain bike ride. He wasn’t impressed. 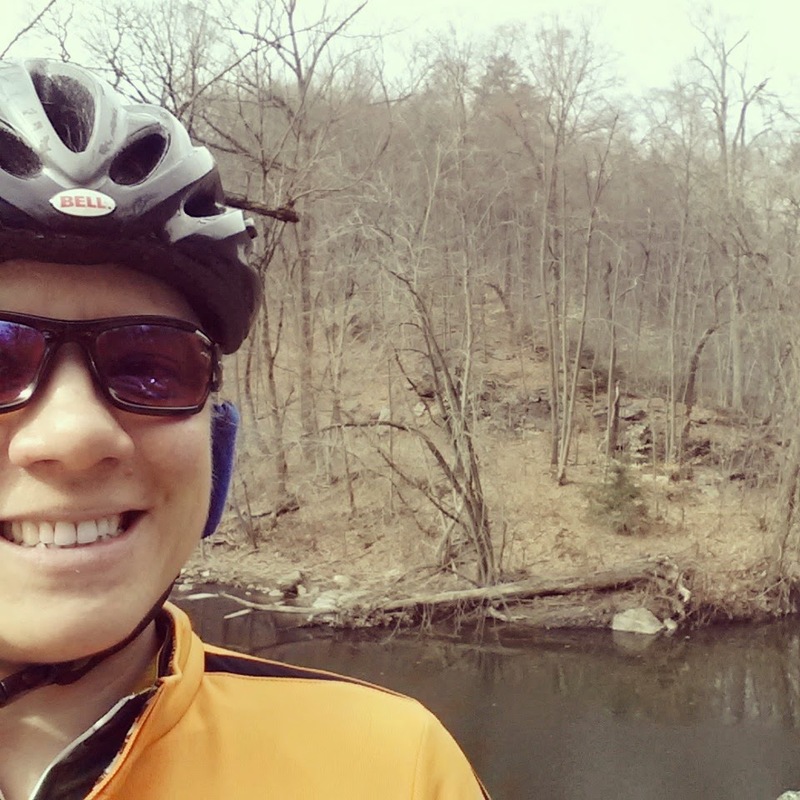 My friend John and I hit up the Wissahickon for some spring mountain biking. And I completed my first-ever 5-mile running race in 51:40 – a little over 10min/mi. I was very proud of this because I’m not a huge runner, the course was hilly, and I kept a steady pace the whole time. I was also totally wiped out at the end – not sure how people can run half- and full-marathons! May started with the TD Five Boro Tour. My friends Eric and Phil joined me for this event, and we met up with internet friend at one of the rest stops. The day before featured an 8-mile ride back to the hotel after the Expo to pick up our race packets in the pouring rain. I’m thankful the hotel staff didn’t blink when we rolled in, muddy and soaked to the bone. A hot shower and clean clothing meant we could get dinner together and chat about bikes and life and the upcoming tour. This was an incredibly disappointing event as we got slotted late and ended up walking as much as riding (“hey, why are we walking?” “Hill.”). At one point the boys dropped the hammer and were weaving in and out of other cyclists. Corbi and I were hammering to keep up until I asked her why we were hammering. She didn’t know either – so we let off the gas and caught up to the guys naturally later on. 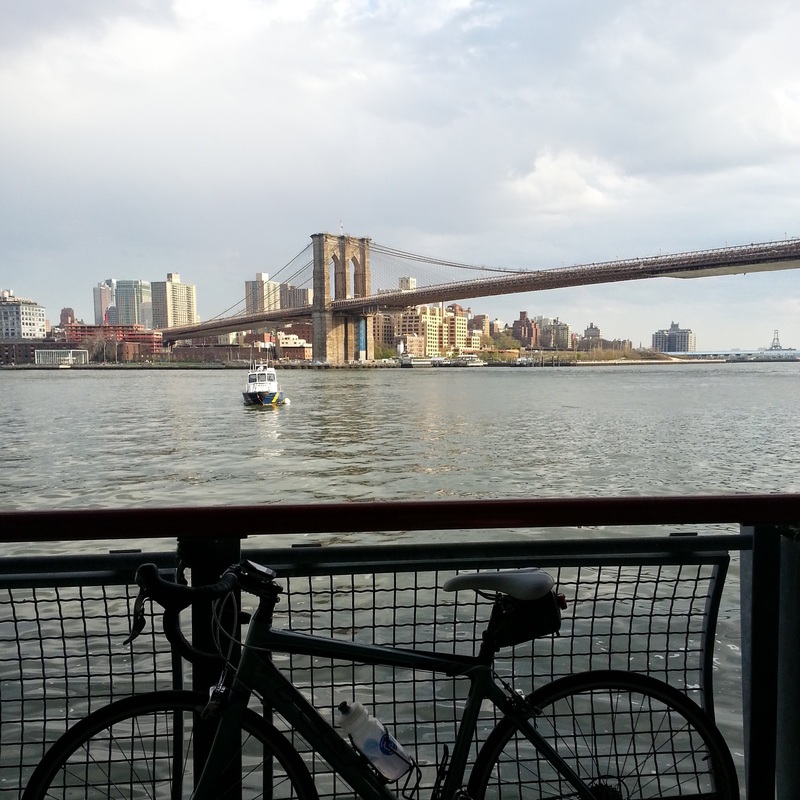 May brought my bike and I to NYC for a 5 Boro Tour/Hike A Bike. May was also the Quad County. This year Ken and I didn’t get caught in a rainstorm nor did we do the Intensive Climbing Unit (or the Very Intensive Climbing Unit) – and the day was so lovely. 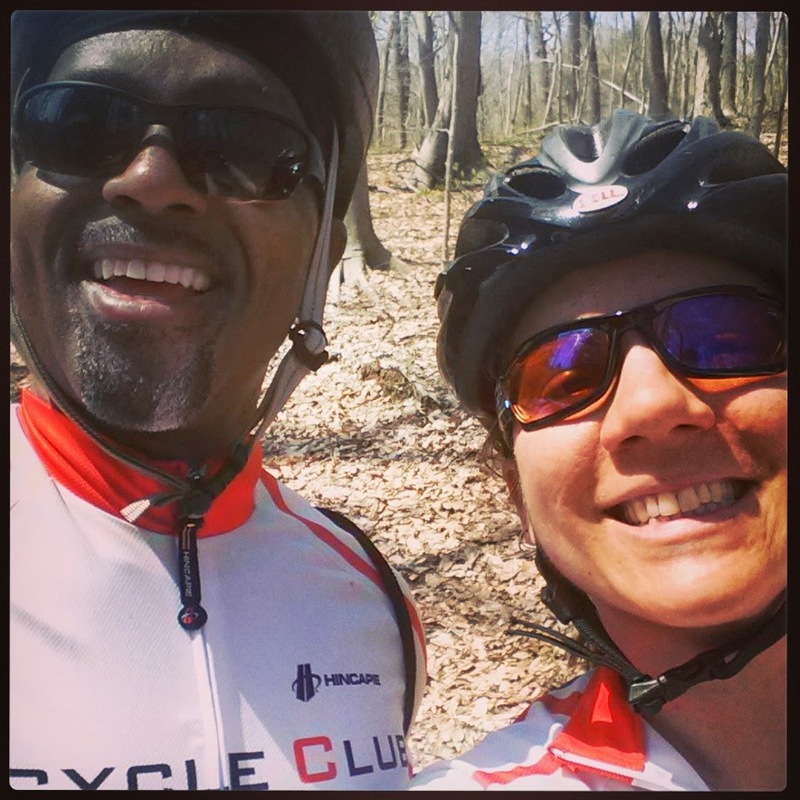 Perfect weather, great route … one of the best rides in the Philadelphia area. May is also when I found out my good u-lock had been cut from my office’s bike racks because I hadn’t been back for over a month. Ug. 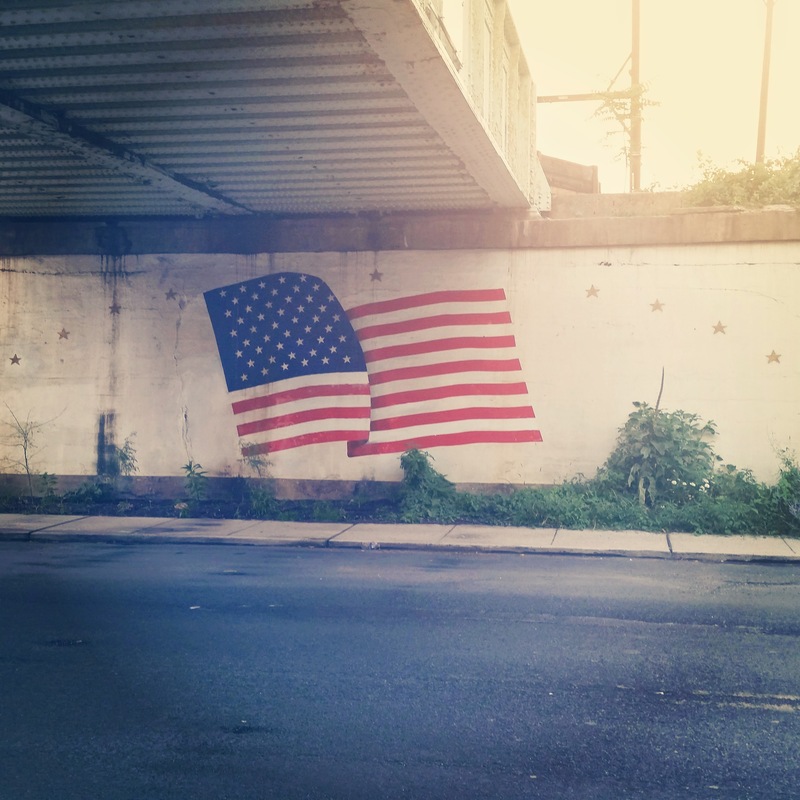 June’s highlight was the Ride for Homes, a four day bike tour from Philly to Gettysburg and back. This is the ride where I met so many amazing new friends, learned that I most certainly can ride 60+ miles per day multiple days in a row, the importance of proper hydration, and how to come back from letting yourself down. The Ride for Home was by far my favorite event this year, one that I am looking at doing again next year. 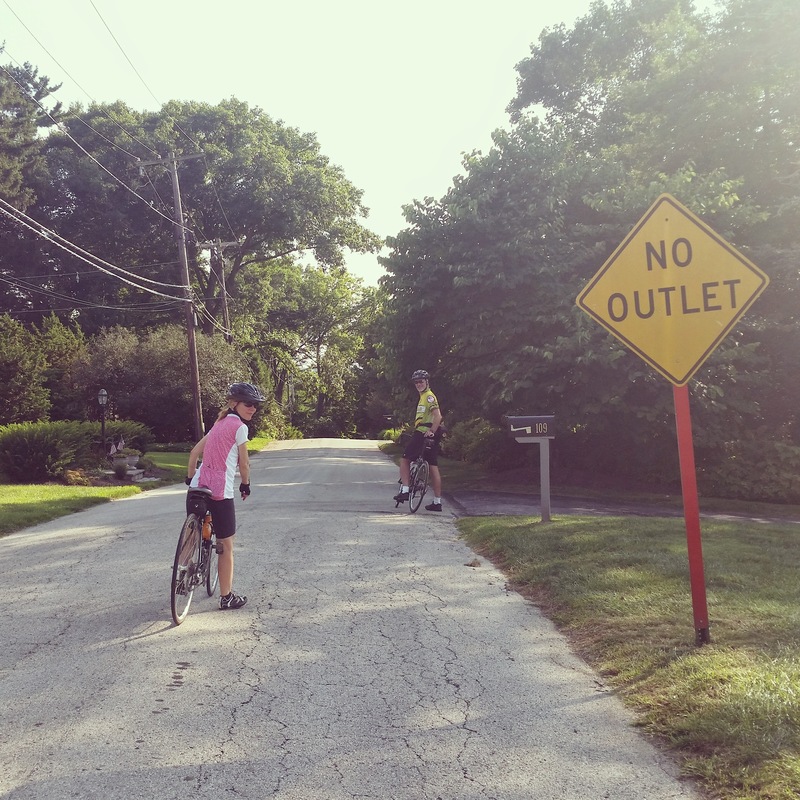 July had a ride to Hammonton and back for lunch – 108 sweaty, stinky miles under a brutal heat and humidity index with a threat of nasty thunderstorms all afternoon. What sticks in my mind is the ice cream shop lady who wouldn’t allow us access to fresh water even though we purchased ice cream (and the sink was right behind her). And how accommodating the Starbucks was next door, filling out water bottles with ice and water and wishing us well on our final 25 miles. And how incredibly draining it is to walk across the bridge over the Delaware River – we spent 10 min drinking electrolyte beverages in the shade after crossing to get our energy back. July also had stress miles because the potential buyers for our house walked away. This had never happened to us before – and it’s incredibly anxiety-inducing. We still haven’t sold the house and it’s now almost 2015. 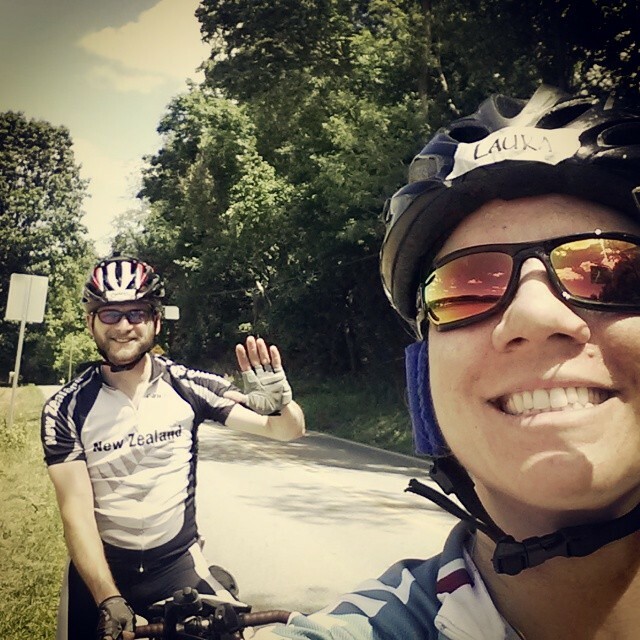 August had a lot of smaller rides – as the office move date grew closer, the less time I had for fun. But a couple fun rides happened – taking my Girl Scouts on an 11-mile trail ride; a lunch ride with Ken and his wife Cathy and my son; riding with Ken and Michelle to see the Super Moon rise over the Delaware at the Spruce Street Harbor pop-up park; and the most excellent ride from New Hope, PA to Brooklyn, NY to get some dinner with friends. August – of course this is the way to go! September had significantly fewer bikes rides and a spike in hiking and walking. Not coincidentally, I also started spending 15-18 hours on trains for work. It is what is it is – this too shall pass. September – Girls Ride The Woods! 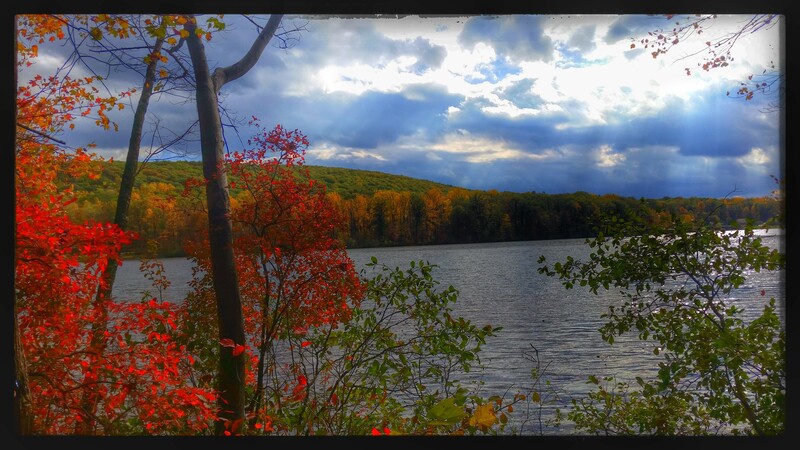 October had even fewer bike rides but a lovely hike with my friend Eric in French Creek State Park. My desires to go mountain biking were becoming intense but my fear of going alone was keeping me from actually getting out. I even went on a quick road ride instead of the mountain biking that I wanted to do because I couldn’t find anyone to go with me. 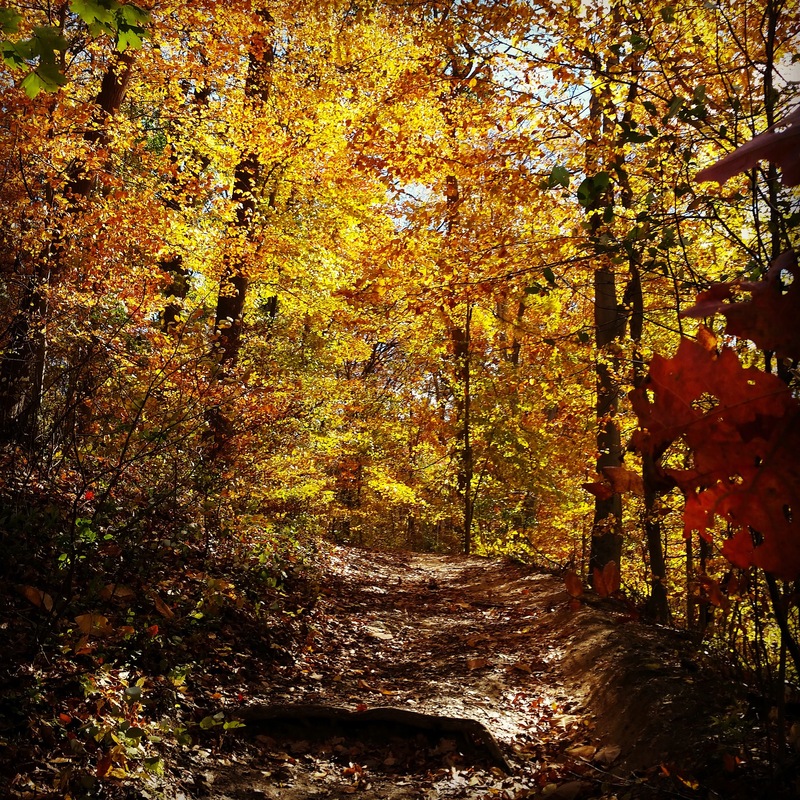 November came and the weather was mild enough to get a hot cocoa ride; a hike with my husband (immediately followed by my first solo mountain bike ride – really hit the spot! ); and a 50-mi bike ride with my friends. Without the regular cycling, my legs aren’t really good for much more than 50 miles but that’s going to be OK because we still have a lot going on in life. 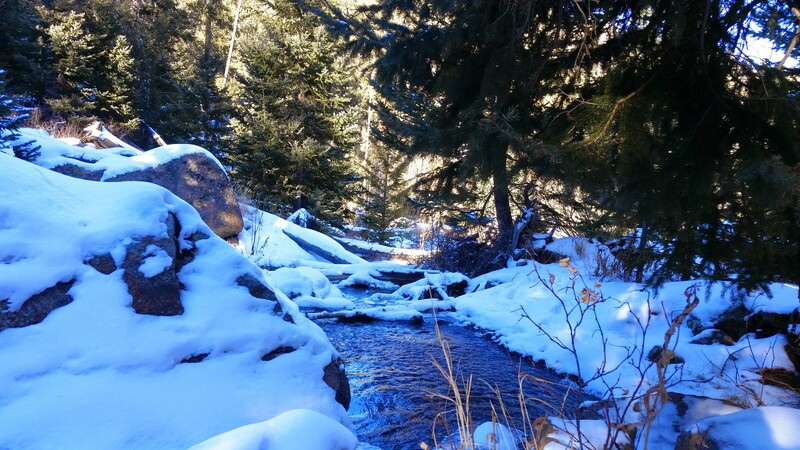 December brought a snowy hike with my Girl Scouts and a much-needed vacation out to Colorado. My sister and I hiked twice – a short 2.5 miler with our mom and a longer 8 miler up to Pike Peak Reservoir. December has brought peace of mind, relaxation, and a way to separate from the everyday stresses and refocus on what is important – family, friends, community. So while this year I didn’t beat anything numbers-wise from last year, I didn’t do too shabby: 2,206.5 miles on my bike with 100,384′ of gain. I also gained a lot of great memories on fun rides with my friends and explored new boundaries in my abilities. I learned tough lessons and still managed to get back on the bike the next day. Next year will hopefully be one that is full of resolution – resolution of our house and living situation, riding my bikes more, and becoming more proficient at mountain biking. Of supporting my family though this tough transition and coming out the other side with resilience, tenacity, and strength. Thanks for being part of my year – see you in 2015! can’t wait to see what 2015 brings us! Next Next post: In like a lion ….